Exponent is a modern business wordpress theme, that lets you build stunning high performance websites using a fully visual interface. The theme comes with 22 premium pre-built demo websites, that you can use as a starting point for your website. Exponent has been built by the same team behind Oshine, one of the all time best selling themes with over 23,000 customers. We have built the theme using years of our experience, customer feedback and a framework that has been battle tested in 1000’s of live websites. No doubt, Exponent is our best theme yet. 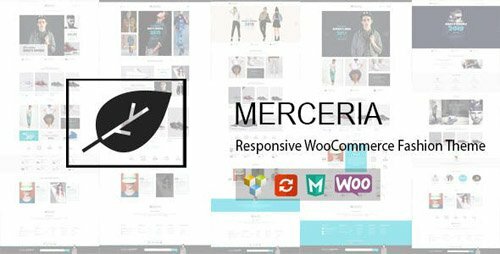 Puca is a flexible and customizable WooCommerce Multi-Store WordPress Theme that installs and changes any item in a matter of minutes via Powerful Theme Options, you can also customize Google fonts. No code is easy and simple. Puca can be used for a variety of purposes, specially built store for the Fashion, Furniture, Electronics,... Puca is fully compatible with all SEO standards helping your business have a high search on Google Search. Each page of Puca is fully compliant, so it can be viewed easily regardless of different screen devices such as desktops, tablets and mobile phones. All that makes your customers have an enjoyable shopping experience. The most popular Wordpress plugins on CodeCanyon and the best services are included in theme which price total $234. They will help you save tons of time working on your site. Puca is a high quality and intelligent design that comes with 350+ different pages that will give you a great choice. You will easily find the best for your purpose without spending too much time. Norebro is a carefully crafted flexible and high performance multi purpose WordPress Theme for personal and corporate use. It comes with the most popular page builder WordPress WPBakery Page Builder (formerly Visual Composer). Create gorgeous pages and layouts fast and easy without coding. We present you an awesome photography WordPress Theme. With it you can create your own unique and beautiful site of photographer, blogger, photography agency or photo studio. Various galleries will show the uniqueness of your work, and a simple and convenient store – to sell your valuable photos. We try to set much components to do you site better and functional. Whizz is a professional responsive WordPress theme for Photography portfolio website. Developed for photographers with the latest WordPress techniques. Content-focused design will impress your website visitors from the first look. This theme built with modern features: fullscreen photo sliders for each page, parallax headers, skin manager, boxed or wide layout, super easy photo gallery management, fullscreen video background support, 6 creative menus, WooCommerce ready, WPML support and much more. Best suited for wedding photography, fashion photography, photo studio, personal photography, agency, photography portfolio, photo blog or photo gallery. 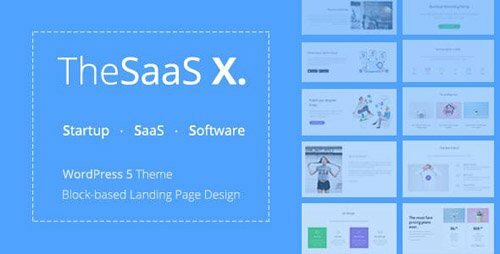 TheSaaS X is a responsive, professional, and multipurpose SaaS, Software, Startup and WebApp landing theme powered by Bootstrap 4. TheSaaS X is a powerful and super flexible tool, which suits best for any kind of landing pages. TheSaaS X is definitely a great kick starter for your web project. TheSaaS X design is harmonious, clean and user friendly. TheSaaS X has a huge collection of plugins and UI components and works seamlessly on all major web browsers, tablets and phones. AdForest is one of the leading and the best Premium Classified Ads WordPress theme with outstanding front-end UI. Get ad posting WordPress theme with different color options and with awesome Wp functionality. Google map is also integrated in WordPress ads theme. Our WordPress classifieds theme usability and overall user-experience is according to modern Era. If you want your classified business stand out from the crowd AdForest is the one stop solution to start and make it easy to sell your products online. Photography Fullscreen WordPress Theme – JohnBlack. Fabulous fullscreen photography WordPress theme designed with premium quality and a rich array of useful features. This ready-made design is sure to make your photography works look impressive and exceptionally attractive for your visitors and target customers. We’ve created a WordPress theme that focused real-life room escape game companies requirements. You can easily add your rooms and enter the details. Also you can get the reservations on the same page. You can configure the booking forms as you wish. Also Escape WP theme supports the WooCommerce. In this way, you can easily get the online payments on your website.